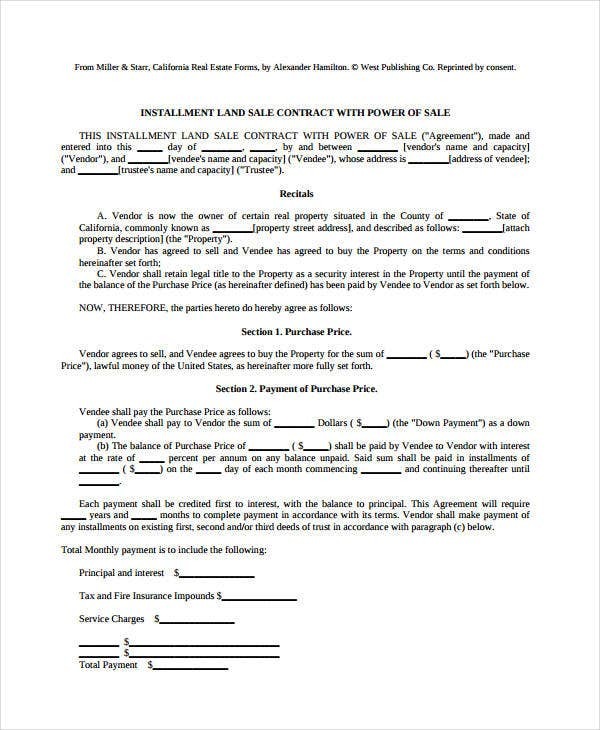 Contract Form Templates are always useful in the land of real estate, where you will need a contract for basically every move. 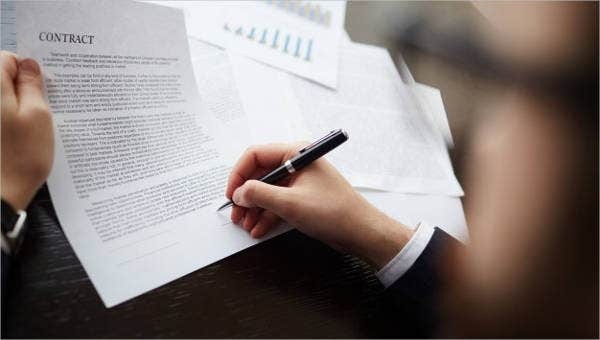 From offering to buy, to accepting the offer and making a counteroffer, to agreeing on terms and cancelling agreements, and so much more, the right template can save you a lot of time and effort in getting the legal details right. 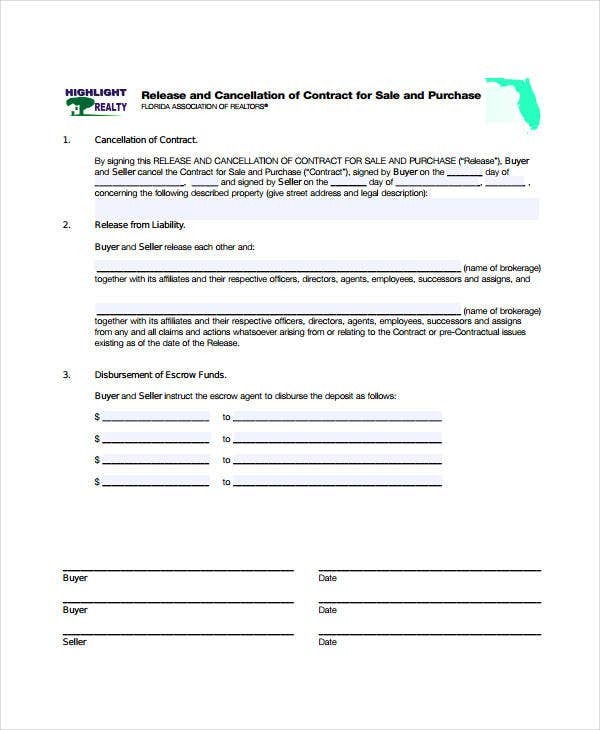 In this collection of free sample real estate contracts, we focus on land sales and purchase agreements. Whether you’re looking to buy or looking to sell a house or area of land you own, it helps to be familiar with the legal terrain. 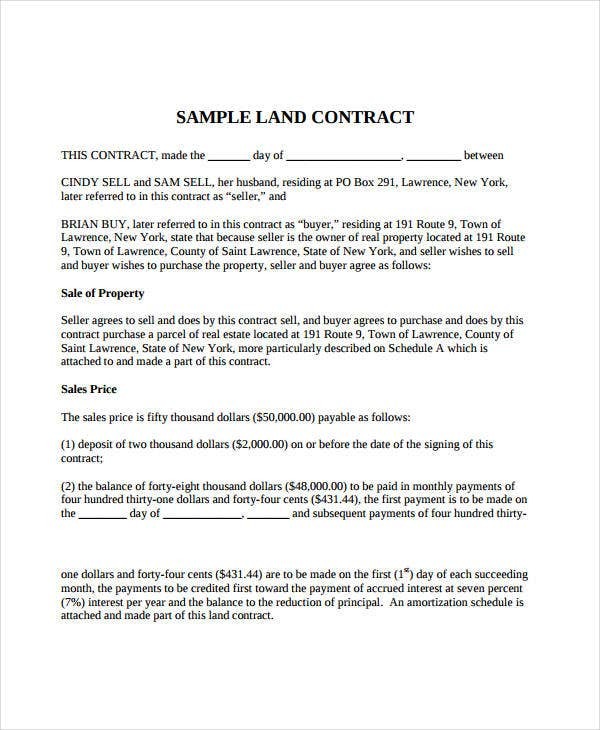 Download and study these samples to help you navigate or draft your own real estate contracts. 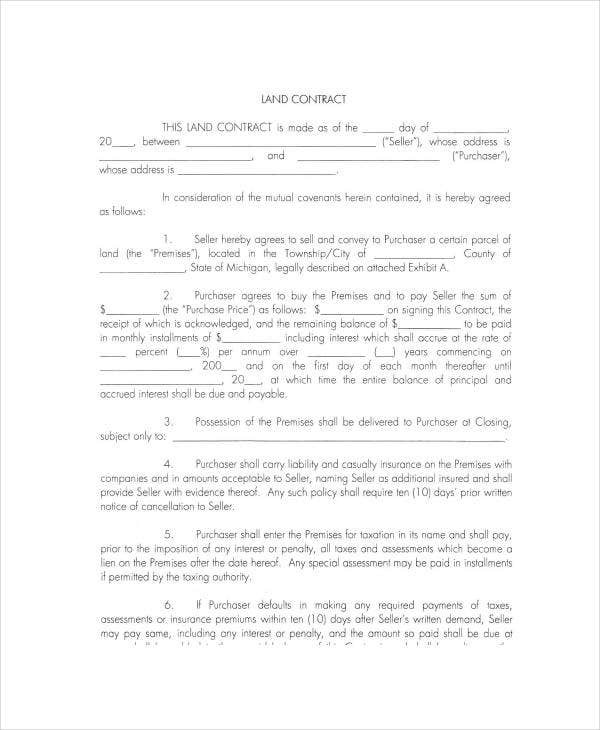 Signing a land contract as a buyer is like signing up for a mortgage. 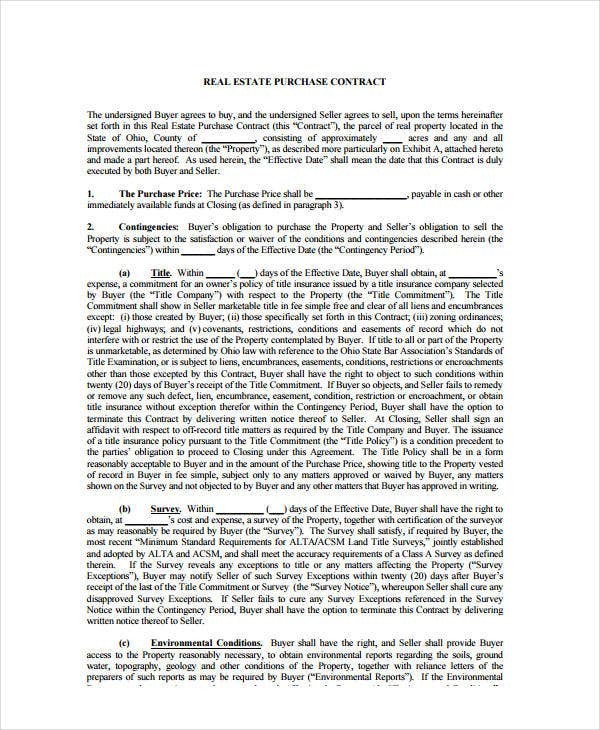 This is unlike a Lease Contract Form, which is meant for rentals of owned property; it is an agreement to purchase. But instead of applying for a loan, however, the seller provides financing and you make payments in installments to the seller until you’ve paid for the property in full. In that event, the seller is obligated to transfer ownership rights to you. 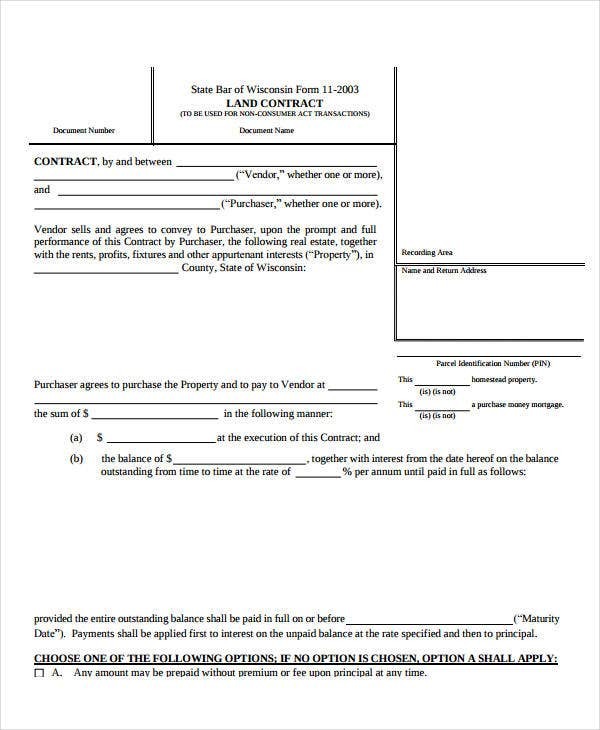 The land contract is the document making this transaction official and legally binding. 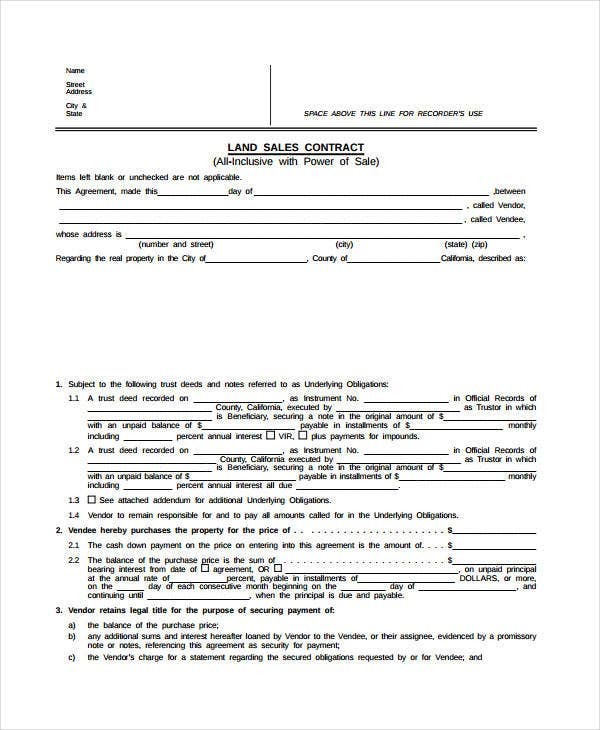 A land contract might also be known as a contract/agreement for deed, a land installment contract (see Land Installment Contract Form), or installment sale agreement. If you understand the basics of a land contract or contract for deed, it is a simple matter of then choosing a form that most closely reflects your circumstances and serves your needs. Download these documents primarily as valuable sources of reference. If you are drafting closely to a chosen sample, make sure you get legal counsel regarding any other terms regarding your specific state laws. Always get an attorney (with or without a real estate license) to look over the form for you. Bonus template. Usually the onus of property maintenance and repairs, even for leased property, falls on the tenant. 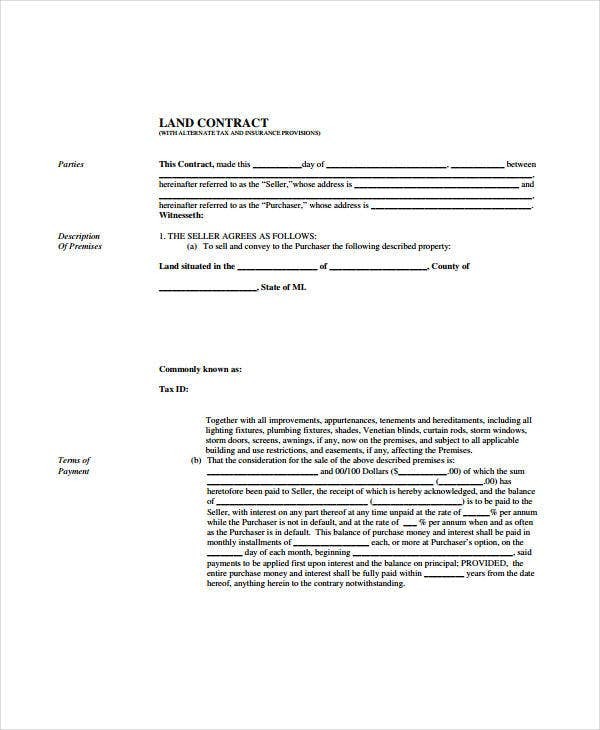 In this case, you will want a good Lawn Service Contract Template from our archives to help you out even here.